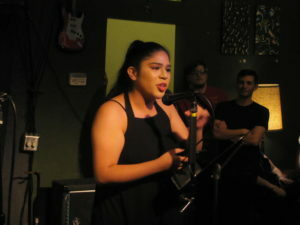 The team runs a popular monthly reading series and open mic at Bohemeo’s. They also produce the weeklong Boldface Conference for Emerging Writers that will run May 22-26. The conference includes twice-daily workshops, craft talks, readings, panels, and the chance for private manuscript consultations with visiting writers—Bill Broun in fiction, Leah Lax in nonfiction, and Hayan Charara in poetry. The conference is open to everyone. Please note that discounted early bird registration ends on March 22, regular registration is available through May. 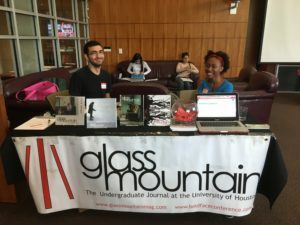 Glass Mountain participates in arts events like MenilFest, AWP, Writespace Fest, and beyond. Feel free to contact Erika Jo Brown with questions about Glass Mountain or Boldface at boldfaceconference@gmail.com. To register for the conference click here.